It’s the most wonderful time of the year – the Christmas season! Wondering what nail colors will suit you and the parties you’ll be attending best? Well the OPI team has your back! Here are five shades we believe are definite festive must-haves! While there are many activities happening this time of year, it’s nearly impossible to avoid the color red. From Rudolph’s nose, to the stripes on a candy cane, to the felt of Santa’s suit – red is one of the major hues of December. The unstoppable shine of OPI’s Big Apple Red will surely give you the perfect festive look. This rose and gold polish from our recently launched OPI Lisbon collection is, as they say in Portugal, “perfeito” for Christmas. Radiant reds meet just the right touch of glamorous golds in this polish. 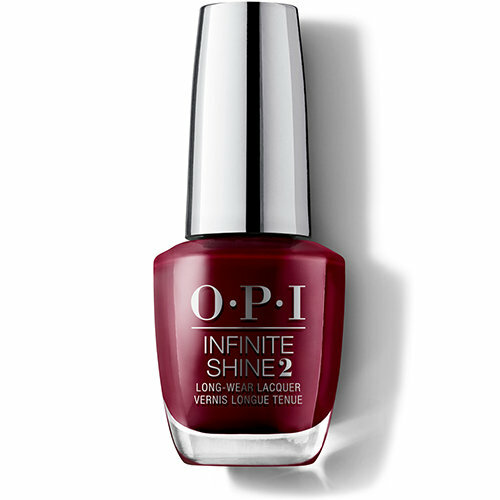 Try out OPI’s Made It To The Seventh Hill to achieve a classic and confident look. Explore a darker and daring nail polish this Christmas season with the deep blues of March in Uniform, the limited edition polish from our recently launched collection for Disney’s The Nutcracker and The Four Realms. 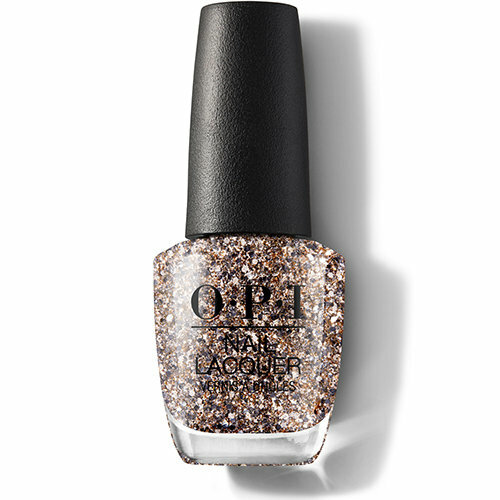 Evoking a more muted tone, this polish is the perfect counterpart to a cocktail dress or a bright and festive outfit, letting everyone know that you’re serious about the season. Champagne, celebrations, and close friends. That’s what the festive season is all about, and when you’re wearing the dazzling silvers of Dreams On A Silver Platter, you’ll cherish Christmas like never before. Another shade from our The Nutcracker and The Four Realms collection, this is a truly festive look. Get yours before the collection ends its limited run! 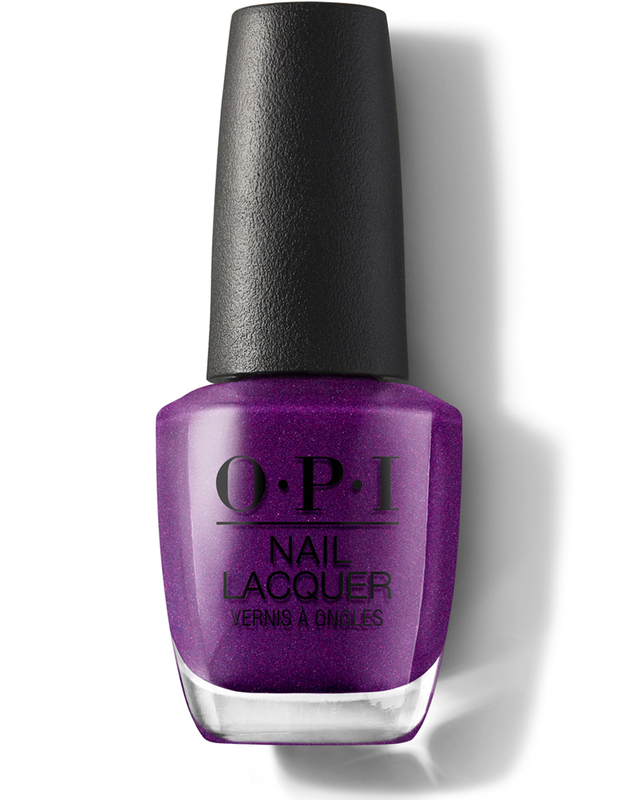 If you are a fan of purples, Berry Fairy Fun will be your best match this festive season. It’s a deep purple shade with the most gorgeous shimmer that really makes it a festive choice! This shade is definitely an eye-catching statement piece when you wear it, and it pairs perfectly with any Christmas outfit. Want to wear a red shade, but looking for something a bit darker…a bit more intoxicating than Big Apple Red? Then Malaga Wine is made for you and your nails. This juicy and complex shade is suitable for any festive occasion, and the creme finish adds shine and depth to this polish. We’ll surely cheers to that! These six shades should be suitable for everything the festive season has in store for you. 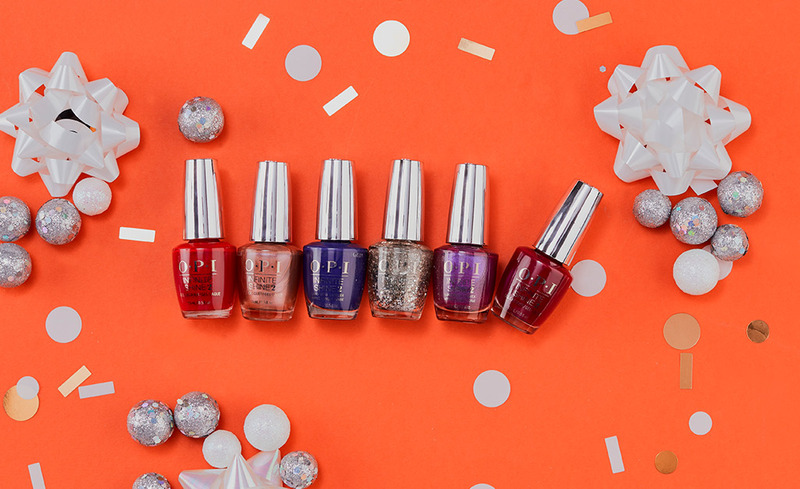 From deep reds to shiny silvers, use this selection of OPI nail polish to make sure you look stunning and festive at the same time. When you’re out and about enjoying Christmas while wearing OPI, don’t forget to post a photo of your nails in all their festive glory, and tag us using #OPIObsessed to be featured on our social media accounts.